Algoa Begrafnis Dienste cc is in 1989 gestig deur Jan van der Westhuizen (snr). Mev Ida vd Westhuizen het saam haar man Jan vd Westhuizen (snr) Algoa Begrafnis Dienste begin in 1989. Sy het 43 jaar ondervinding in die begrafnis bedryf. In 2001 het sy oor gevat toe haar man die stryd teen kanker verloor het. Sy is vandag nog in beheer van al die finansies en alle navrae oor ons polis skema en grafstene. 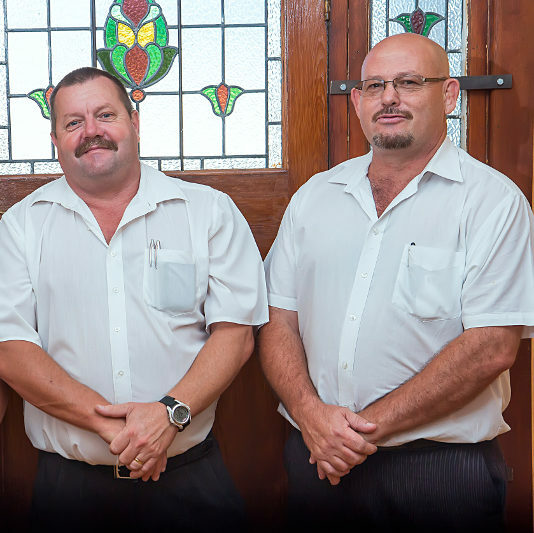 Jan van der Westhuizen (jnr) started at Algoa Funeral Services in 2003. He was responsible for the acquisition and restoration of the Newton Park office. 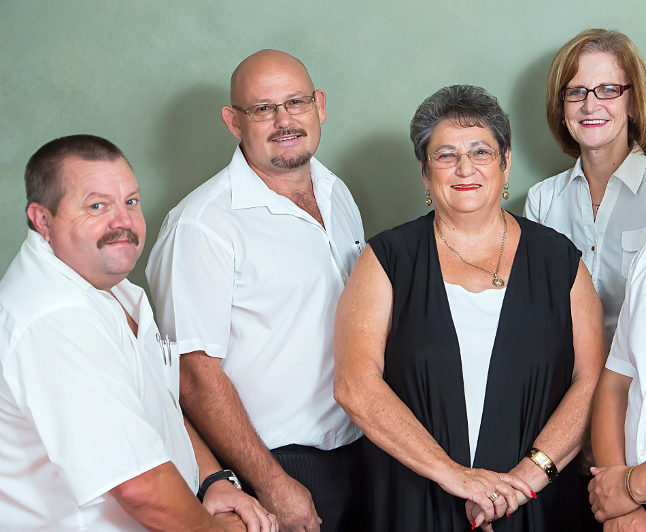 Jan is responsible for the day to day management of Algoa Funeral Services, handing all queries and general issues. Mieimie Gardiner joined Algoa Funeral Services December 2006 as consultant. She is mainly responsible for arranging the funeral, with the bereaved family and to be there to support them. She also liaises with the churches, florist, printer and newspaper to ensure that the funeral takes place without any problems. Rehan Basson works at Algoa Funeral Services since February 2012 as a funeral undertaker. His duties is to handle all the documentation involved in a cremation/burial. He also handles the funeral services at the churches and burials in the cemeteries.